Obituary for Betty Jean (Kerr) Kosick | Inman Ward Funeral Home of Tabor City, LLC. 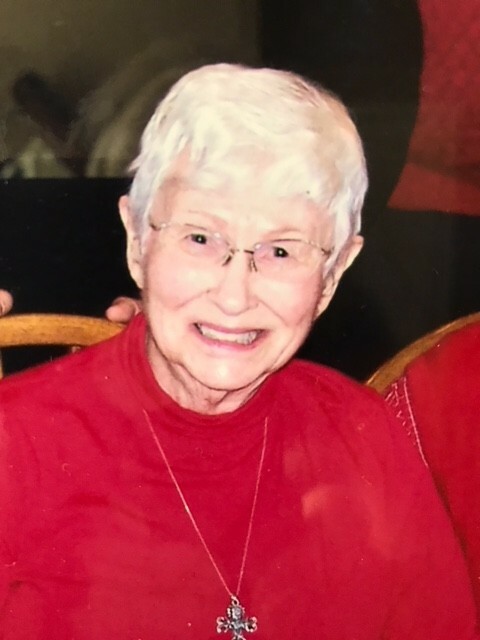 Mrs. Betty Jean Kerr Kosick, age 92, died Tuesday, September 18, 2018, in her home with her family by her side. She was born January 12, 1926, in Venice, California. She was preceded in death by her beloved husband of 72 years, John “Jack” Kosick. Betty would like you all to know that she is joyfully in the presence of her precious Lord and Savior, Jesus Christ. She is survived by three children and their spouses, Barbara and Ted Morgan of Cumberland Foreside, Maine, Claudia and Roy Yarbrough of Tabor City, NC, and Bill and Barbara Kosick of Tabor City, NC; seven grandchildren and twelve great-grandchildren. The family will receive friends at the Inman Ward Funeral Home Chapel Saturday, September 22, 2018 from 10 AM to 11 AM, followed by final rites in the Chapel. In lieu of flowers memorials may be made to the Tabor City Baptist Church Mission Fund 200 Live Oak St Tabor City, NC 28463.